Well a week ago I left my pampas behind and returned to the palms of Palm Springs, California. (Footnote - my only pampas, a plant of Cortaderia richardii is sadly dying so I must get another before I am accused of blogger fraud!) I love the winter sunshine here and am glad to be back with my partner Philip. However its always rather bitter sweet saying goodbye to old friends and tidying up my garden for its long rest. I do have a new tenant and good friends, who keep an eye on my property but its always rather sad leaving my little garden. 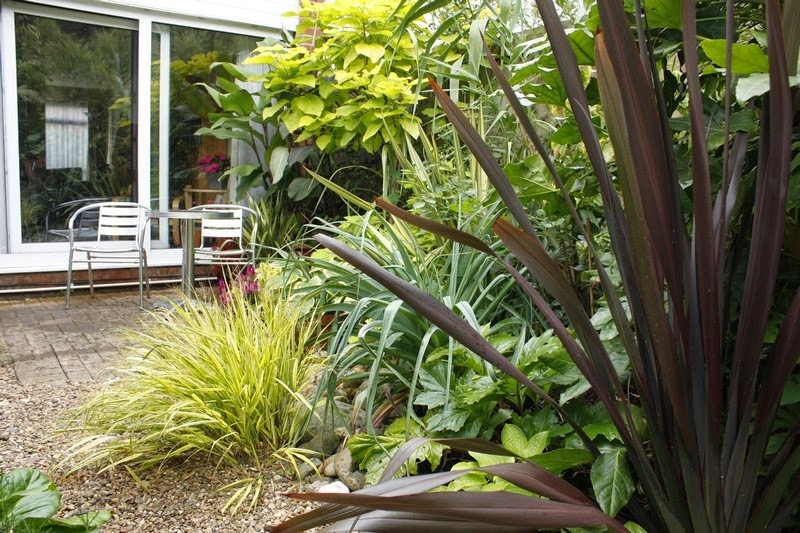 Nobody will be watering, so I guess my long-suffering phormiums in pots will eventually die. 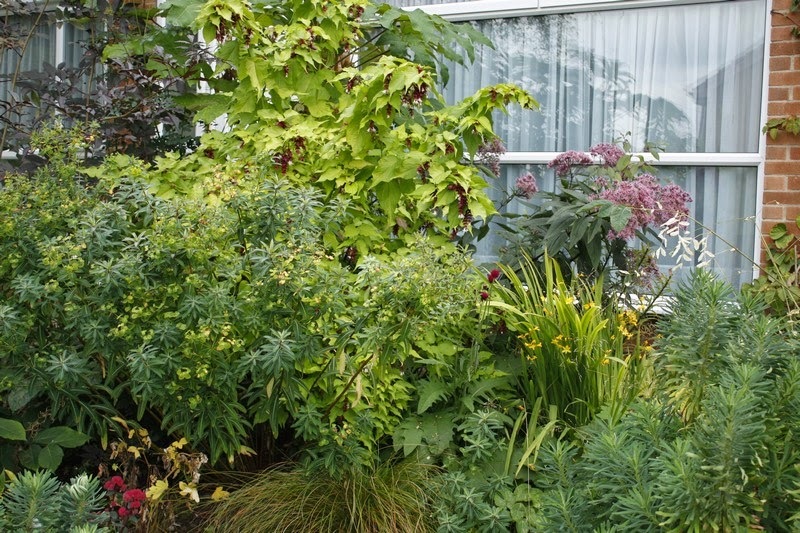 Before I tell you about how my USA garden has fared, I will give a final curtain call to my little patch of British soil! 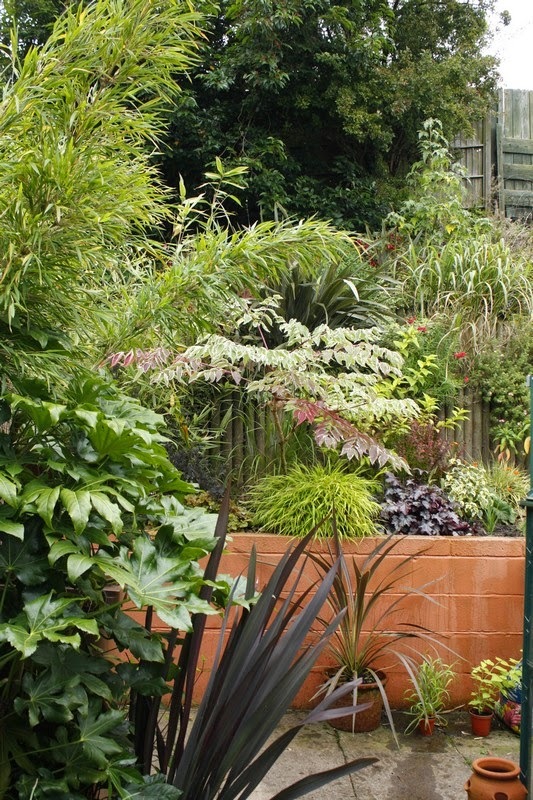 This summer I filled most of the gaps with permanent hardy plants rather than my usual summer exotics. 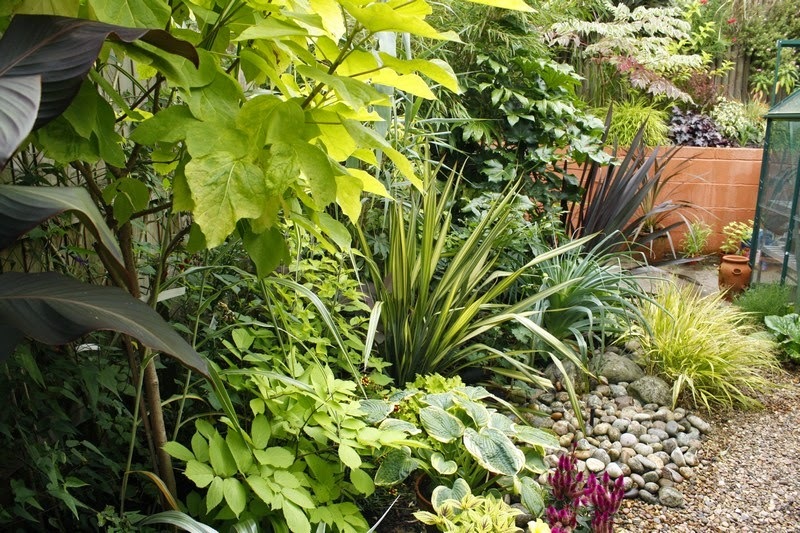 The garden has got to be tough and survive a certain level of neglect now, although I will have someone coming in monthly to tidy and prune. 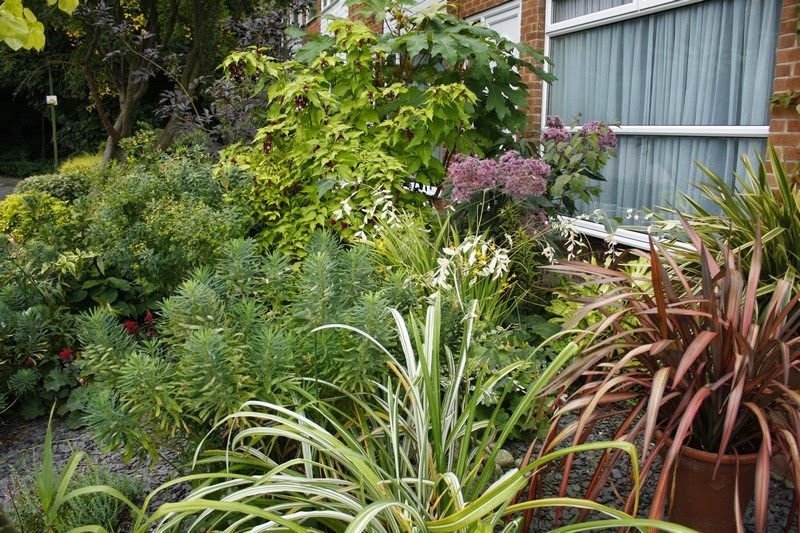 Despite the simpler planting, it has looked good this summer and I've enjoyed watching new plants grow and settle in with the existing. The steep bank at the bottom of the garden is now well clothed, although clambering up the steep terraces to weed is a scary experience! 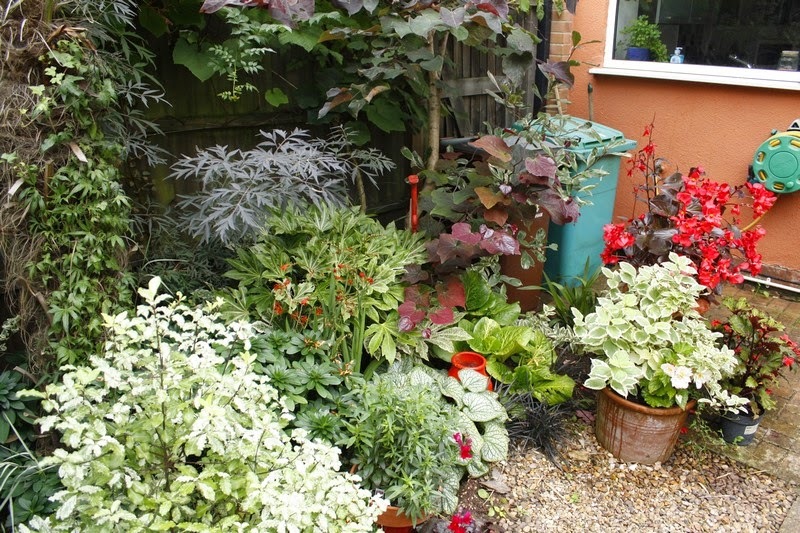 My attempts to add touches of red to my white and green border weren't very successful as last year's lilies didn't return, so I had to console myself with some red begonias and some red painted 'props'. 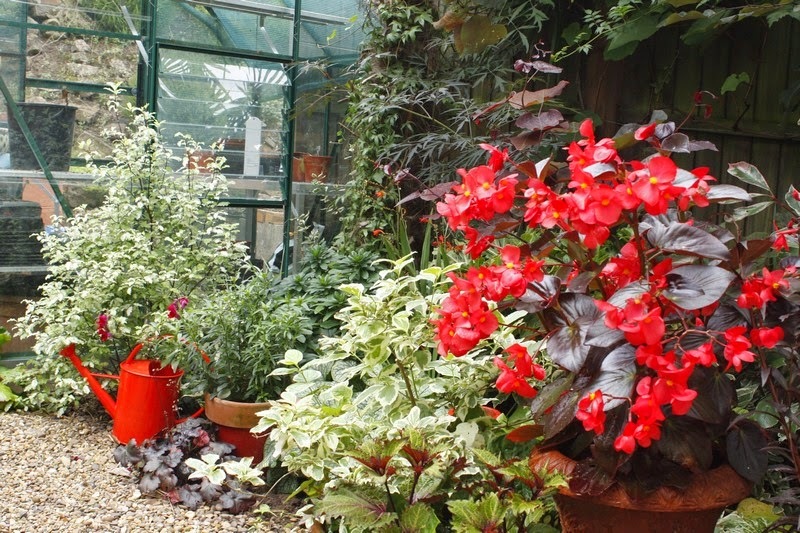 I've added a red Crocosmia and next year I must try that lovely sprawly red pelargonium 'Antik' in my terracotta urn. 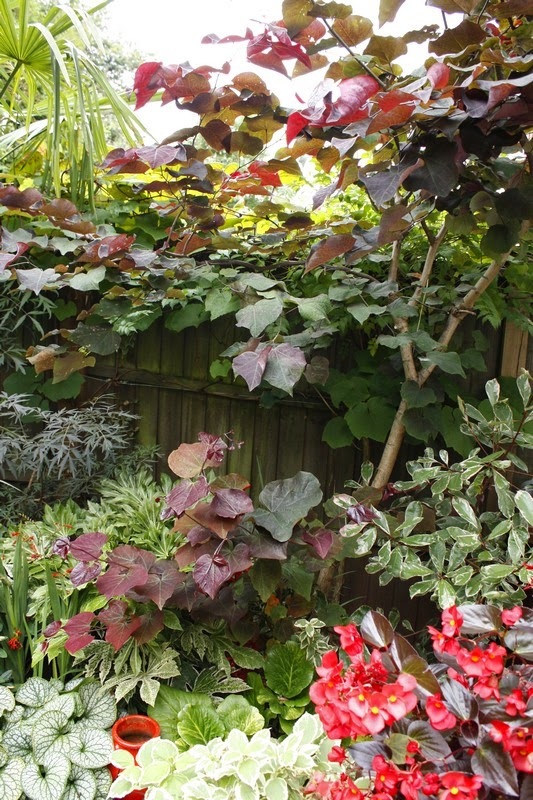 In early summer I cut back hard one branch of my Cercis 'Forest Pansy' which has regenerated well with strong young shoots. I think I may well do the same to the other branch to bring it back down to shrub proportions. 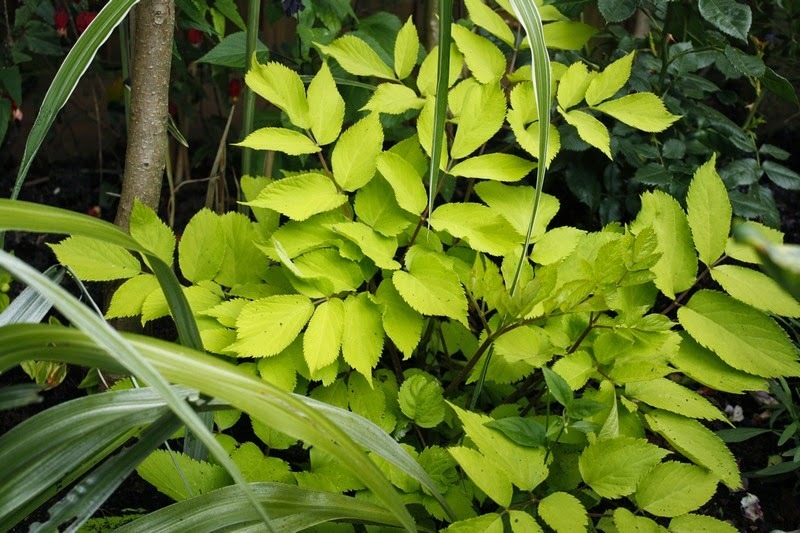 The gold border has been fairly successful with lots of foliage and I particularly like Aralia 'Sun King'. My two roses have established but flowering has been sparse this first year. 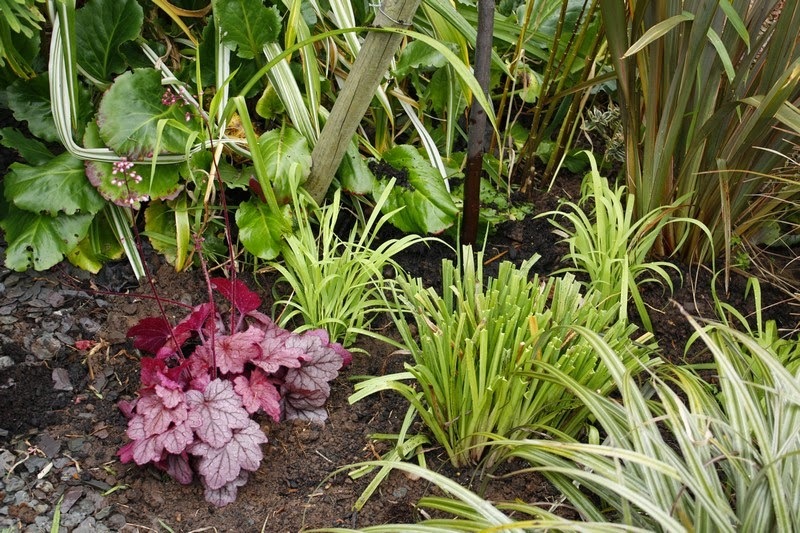 Sadly some of my Heucheras which I have so enjoyed in the past have suffered with rust this year. I guess they too will suffer without treatment. Having said all that I'm always amazed how gardens thrive on neglect and it really emphasizes which are the good tough garden plants. Not bad but still can't hide that fence! Well that's what I'm leaving behind. It will be interesting to see how different it will be when I return next summer. 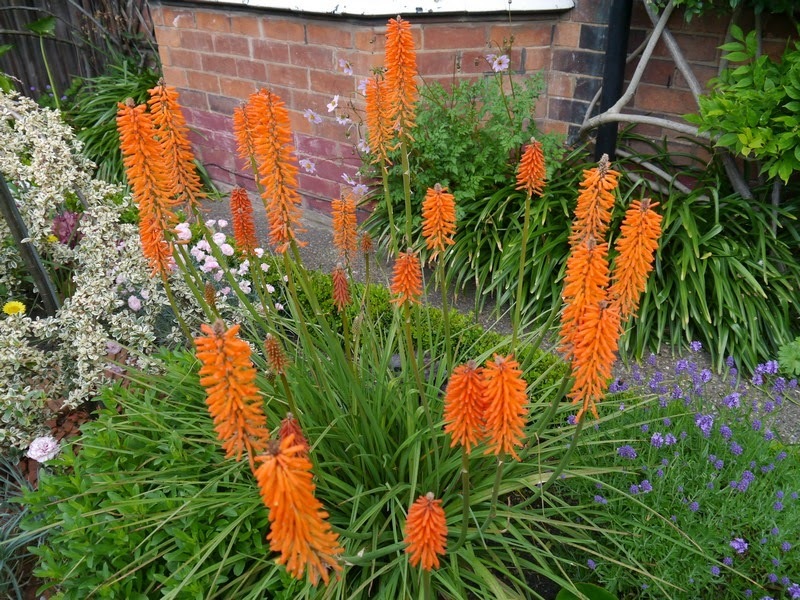 Recently, my good friend Tony gave me a large chunk of his Kniphofia 'Elvira' which I had admired. It's tucked into the front garden and I hope by the time I return next year will be settled in and maybe giving me a few flowers. That's it - keep reading folks and next time I'll tell you how my other little garden has fared through the summer heat now I have arrived in Palm Springs and said hallo to the humming birds! 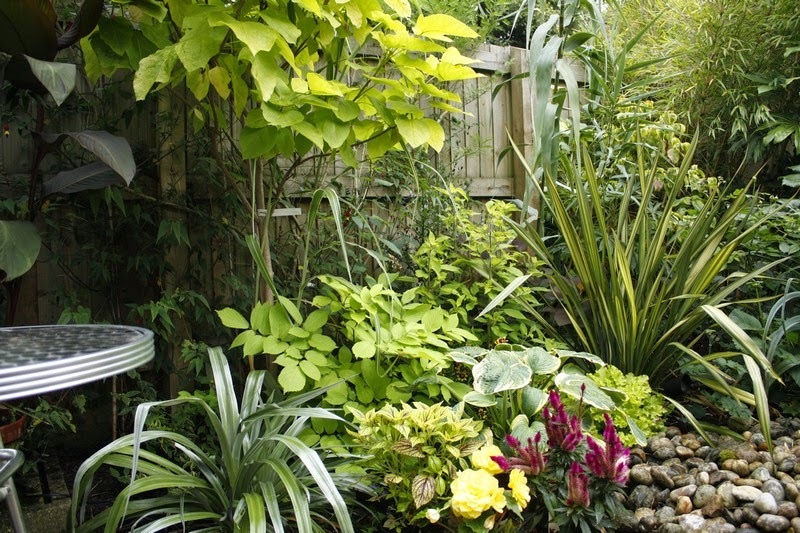 Fabulous exuberance in your garden just before you left. I can imagine most of them will be fine while you're away. Looking forward to your 'palm' posts now!